BERLIN -- A German court will adopt a rarely used class-action style procedure to more efficiently process claims by investors seeking damages from Volkswagen Group over the automaker's diesel-emissions cheating scandal. The regional court in Brunswick, near VW’s Wolfsburg headquarters, said on Monday it will pick one case to act as a model to help resolve as many as 170 other damages claims, the closest thing Germany has to class-action lawsuits common in the U.S. Private and institutional investors are suing VW alleging managers at the carmaker failed to disclose its involvement in a diesel-emissions scandal in a timely manner, a claim VW rejects. 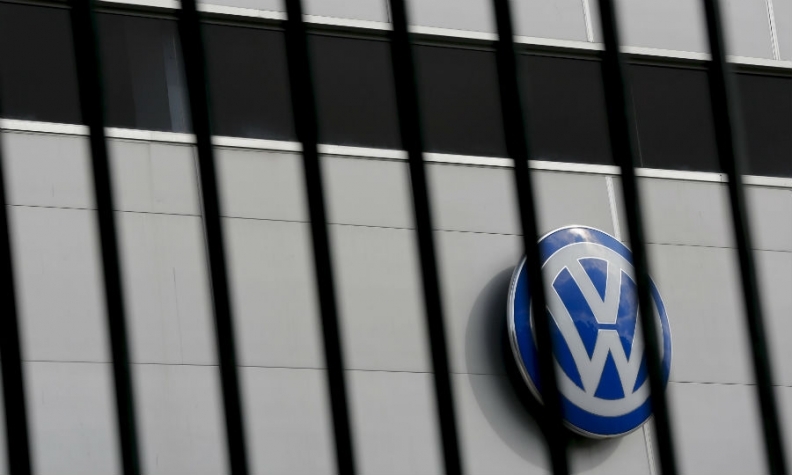 "VW continues to take the view that it has duly complied with disclosure rules related to securities law," a VW spokesman said on Monday, adding the court's decision to allow for a model proceeding is a "normal procedural step" that is also backed by VW. Most of the 170 cases have been filed by private investors with the largest case by lawyer Andreas Tilp filed on behalf of 277 institutional investors and worth 3.26 billion euros ($3.60 billion). Tilp has represented investors in many German cases over capital market-disclosure issues. The court said the representative plaintiff will be named at the earliest in the fourth quarter and the model proceedings will help speed up resolution of the cases. Germany's legal system does not allow for U.S.-style class action suits for resolving the consumer claims of Volkswagen owners. The purpose of model proceedings is to resolve generic or common issues for other related cases, but unlike in a U.S. class action, the model proceeding does not have the legal effect of also resolving all of the individual claims. VW is caught up in legal action in the U.S., South Korea and elsewhere and also faces criminal investigations related to its diesel-emissions rigging, its biggest-ever corporate scandal. Investors say they lost hundreds of millions of euros after U.S. regulators revealed VW's manipulation on Sept. 18. VW knew earlier about the regulatory probe into high levels of car emissions, but did not admit until Sept. 22 that 11 million cars worldwide were fitted with illegal software. Germany introduced model proceedings in mass actions for certain types of securities fraud in 2005 following a case involving Deutsche Telekom which became the target of thousands of lawsuits over alleged prospectus fraud, allegations the company denied.